You are correct Labarith, it would take a massive amount of space.. if that space was dedicated on the cart. I'm talking about completely an off the cart thing. The ability to battle with Gen VI, would be done completely by the DLC. It would convert Gen V pokemon to be compatible (via a conversion program) with Gen VI, no matter how complicated it got. The more complicated, obviously the bigger the download. Yes, at some point this idea could be prohibitive as to the amount of available HDD space on the DSi or 3DS. The most complicated engine switch was from changing pokemon from Gen 2 to Gen 3. Even then, you can't tell me that to write a conversion program to convert Gen 2 pokemon into Gen 3 pokemon (including a random nature, EV/DV value recalculator) extra would take up more space than what is available on the DSi memory (or expandable memory). Remember, this is probably assuming that there won't be another huge gap between the generations like the disaster of a Gen2-3 gap. If they did not program Gen5 with this possibility, then they didn't properly make the game "forward compatable". At any time they could break the chain by making a radically different system. But at that point, the chances of Gen 6 being backward compatible would be most likely out the window. As for pokemon with clearly unique abilities that don't have a translation. I would anticipate in that case that the update would find a way around that issue to allow the transfer. 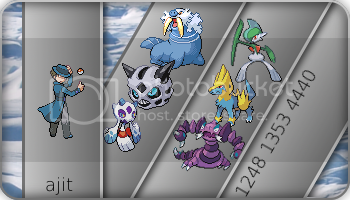 It could be as simple as in the DLC programing to either give X pokemon a temporary ability while in Gen V.. or to find a way to intertwine the DLC into the main game (like other games have done imputing DLC into the original main game) so that these new abilities, when added to the "bucket list" of moves the game recognizes, operates in a similar fashion to how it did. An example, say a move or ability increased the duration of the "Poison Mist" move (A new move in Gen V that is the "poison" version of sandstorm). Now, you could leave the ability in, but since no pokemon could cast "Poison Mist" (maybe the move fails in the Gen IV update). Or, it could be programmed correctly (and kinda unbalanced) that it would allow the "
Poison Mist" move to be used in Gen IV, hence the move would operate how it does in Gen V. It all kinda depends on how the originally structure the game, how moves are pulled out of the "bucket list", where animations are stored and accessed, etc. It depends on how they want to keep the balance of the original game in tact from generation to generation. The bottom line is, they probably already include a tag in the code to update those lists (ever since emerald when they had to fix the berry issue), so there probably isn't a huge long list of code that is preventing addition features to be on the original cart. When it comes to pokemon themselves, creating the pokemon .sav file in Gen VI in a way that when each Gen V game reads the file.. it reads the Gen V portion of the save file. When Gen VI reads it, it reads the addition Gen VI data.. think of it like a train, where you add a car for each gen data. If you structure this in a way that Gen V will ignore the Gen VI data, but not delete it then it'll all be good (Which can be done when moving a pokemon from the DLC box, to the "party"--the permanent files stays on the DLC box,hidden, then gets updated when returned to the box). The movesets are even now currently not tied to a pokemon, nor are abilities. They are in some kind of bucket list in the game that can be attached to any pokemon. It is simply that when a pokemon is created by the game, there are specific rules in place on how that bucket list is attached to each pokemon. A simple code in Gen V that lists the moves then at the end it says "Read: DLC" or however they do it in programing language (which again, is common in modern day games). Total estimated space to do that on cart.. I'd guess probably 20kb. What I meant by Gen5 would not be completely compatible with Gen6, was that you wouldn't turn around and change everything in the Gen5 game to reflect the changes in Gen6. The example I gave I thought was clear about this. It would be the same way that you wouldn't make Gen 3 turn around and have all their moves reprogrammed to be split between Physical and Special. You would create the update DLC that the new moves would conform to the old mechanics found in the first game. If there was no way, then the move would simply always "fail". Now for games crashing during incompatibility between different versions of Gen V.. that has already been addressed. That is where you lock out the ability to interact similar to the G/S Time capsule. Problem solved. No trading "new" stuff w/out the update on both versions. Spoinkable had a great idea for those "mini" differences.. which is a free system update. Bigger things like new pokemon, or generational gap would require a hefty (most likely purchased) DL. I appreciate the critical thinking on this idea, don't get me wrong. To debate the merits helps fix or explain ideas that would come up that would need to be addressed. I'm afraid I don't understand what you mean by "DLC". If you mean something like a seperate program on the wii where you could plug in your Generation VC team and have them fight generation VI guys ON THE WII, there is no problem with this. But you haven't actually described what you were talking about - forward compatibility where you trade between systems, a patch to update old pokemon, etc. What you're talking about is, effectively, a Generation 6 PBR, or - worse still -a generation 5 PBR with a massive update. Now if we're talking PBR-like stuff, there's no problem w/ that. But it's definately not what you came across as advocating. I haven't cared enough to read thoroughly through either of your arguments, but I believe what Puck means in case you haven't realized yet is that you basically leave empty space on the game for Nintendo to put future pokemon in, as well as moves, through the use of DLC, by means of Wi-Fi connection. It would basically work as a "patch", a version update. And you wouldn't be allowed to connect to the Wi-Fi through pokemon if you didn't have the latest version. He (now) says he's interested in something "completely off the cart". I was arguing that an on-cart empty space for a patch would be a bad idea. He (now) seems to agree with me on this fact. And I was wondering if he meant something ELSE by "DLC", as I don't have the wii, for example, maybe he meant the WII download channel. DLC - Downloadable content. Ajit is correct in a way. It is similar to a "patch" that a lot of computer games have. It isn't so much as a full application like a Wii game, nor would it be on the Wii. Oh, I'm trying to break it down cause I'm not sure how much you are aware of the current gen systems like the Xbox and PSN and I don't want to insult your intellegence. The xbox has disks for the most part, that you can't really "add" into the game.. like save. Most of the saving and stuff is done by making extra files on the harddrive (HDD). Furthermore, to add to the disk.. like extra levels, character skins, and such.. you can download extra add on packs to increase the experience. The Add on stuff.. (Borderlands for example) lets you play through the main game with these new guns.. things that could not have been done otherwise. Borderlands is also a multiplayer game. In order to be synced up.. there are title updates.. and some areas are not available for people that have not purchased or downloaded the new content. However, you can still play the main game with them.. or the content that is on the disk. Now, if we use this same model for pokemon.. and instead of using disks, we use the carts.. would mean that the programmers would be able to program this extra content.. be it pokemon, moves, items and not actually use up space on the cart. The DSi and the 3DS have internal memory, much like an xbox, ps3, and wii. The DSi has this so that it can download games off wifi/internet connection.. much like the Wii does for WiiWare and the Virtual Console. My proposal would be to use some of this HDD space to download this "patch" or DLC to increase the life of the game. I hope this explains things better what I mean by DLC. Sorry if I sound like I'm saying a bunch of stuff you already knew when it comes to DLC, I just thought most of that was common knowledge nowadays with this current gen systems we have. So... as I understand it... your proposal is to DL an "update patch" into the DSi (way to go champ, now I have to buy a DSi, rather than a Generation 6 game... yeah! ), such that the DSi internal memory is used up - NOT the carterage - but the cart is useless w/o the DSi patch. Indeed, you can't delete the DSi Patch and then reinstall, as the DSi Patch necessarily corrupts your game file by adding new pokemon the cart wasn't originally designed to hold. IE, junk data. I see no relevant difference between an in-cart "upgrade" patch and a DSi Memory upgrade patch, except the latter is LESS PREFERABLE to the already undesirable former. No offense intended, but all of my arguments against an in-cart patch apply to an extra-cart patch, along with a whole of OBVIOUS other arguments which are so BLATANTLY OBVIOUS I am shocked and dismayed you even proposed such a prospect. Well, DLC isn't exactly everyone's favorite cup of tea when it comes to it. I don't think it would need to corrupt the file. The way I have it set up, it could very well be kinda like My Pokemon Ranch.. and have the DSi file tied to a particular cart/DS and that any pokemon that say was taken out of the DSi box and used in a Gen V game, must be returned back to the same DSi. That way, if the DSi and the cart got separated.. or the cart got used elseware.. the game could still be used. Granted in order to kinda do that, there would have to be a little bit of cart saving where the updated moves and what not are saved on the cart itself. I hadn't exactly worked out how that would work if the cart got separated from the DSi.. with a Gen 6 pokemon currently in the party. Maybe the moves and the abilities of all the pokemon in the party could be saved temp on the cart.. so that the cart and the DSi could be separated. Most likely though, it would probably throw up an message at the start if you have a Gen 6 pokemon in your party away from the DSi that it was transferred into. Now, it could be possible to delete the DSi patch from the DSi.. in doing so, you'd delete any pokemon you'd have stored.. and the ability to transfer. I am in no way proposing that the patch permanently modify the cart.. that's not how DLC works. If you are using your G5 cart ONLY for "accessing" pokemon in your box (a la Pokewalker w/ g4) to combine w/ DLC-only boxed G5 pokemon, and then you have the G6 battle mechanics, "retro" G5 battle pictures for G6 pokemon and moves. Effectively what you're asking for is a PBR-like engine for a DSi, a Pokemon Ranch/Time-machine esque "filter" to trade G6 pokemon to G5, and G5 pokemon to G6, and X boxes of non-filtered pokemon. But that's not enough. Because you need some way to RAISE G6 pokemon, but not in your G5 game (else crashing necessarily, as incompatible battle mechanics). So now you need a series of mini-games, or a DLC-only island/area where you can train your pokemon (even catch G6 pokemon?) and maybe even buy some limited G6 evolution items and/or TMs. You would also need to upload (NOT PBR-style) G5 guys to the DLC box to use G6 items or TMs on them, and they couldn't go back unless you didn't do anything to them. So, effectively, you're asking for a very complex G5-G6 hybrid system, including storage space, on your DSi. In the time to program this, they might as well make a G5.5 game with "hidden" G6 pokemon that was a remake of a G5 game, Platinum-style. All in all, it would take less time to program, as it'd be a variation of a G5 game, and wouldn't need to introduce a dozen "bridge-gap" mechanics like double-time machines, in-DLC boxes, in-DLC experience gainers, etc. CUSTOMIZATION!!! I think letting us choose a different sprite in the beginning would be great. I know, right. I've been waiting for ages for this! What id really like to see done is to breeding. Why? -It's the one thinng that hasent changed since gen 1, except maybe being able ot leave 2 pokemon at the daycare. - Pokemon is designed for... a younger gaming community, and Runnin around with an egg waitin for it to hatch...well you give a 10 year old an egg and tell em to run around with it till it hatches. -MAYBE, when the player maxes out his egg hatchery LVL, The player is now able to choose certain moves it would like passed on, AND moves that may not normally be based on to the offspring, would get a ..oh i dont know...5% chance to get passed on? These are just suggestions. Yes. they may casue an upraor, but i state again- breeding is the only thing THAT hasent changed.